Located in the southwestern Pacific Ocean, New Zealand comprises two main islands, both of which have stunning natural landscapes created by volcanoes and glaciers. Sporting iconic landscapes, a renowned food scene, cultural treasures, and notable filming locations for some of the most popular movies, it's not surprising that New Zealand is becoming an even more popular vacation destination. Good news if you're looking at flights from the western part of the U.S. It may look like a lengthy flight on a map, but it's only about a 12 hour flight from Los Angeles. Flights typically depart in the evening so you'll arrive in Auckland early in the morning which gives you the ability to make other connections. There are a number of international airports in New Zealand, but Auckland is typically the one most carriers fly into since it's the biggest and the main international hub. 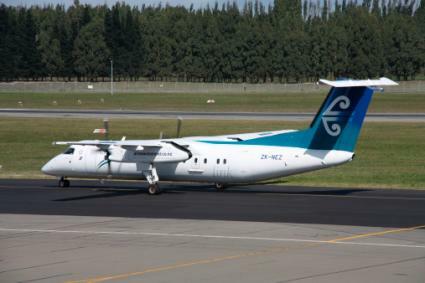 Other airports include Christchurch International, Wellington International, and Queenstown International. Check sites like Skyscanner for the cheapest flights on major carriers like Air New Zealand, United, Delta, American, and Virgin Australia. You'll most likely find non-stop flights from western hubs like Los Angeles, San Francisco and Vancouver; otherwise expect a layover in your carrier's domestic hub if you're coming from the east coast. Flight prices can vary widely, which is why it's good to check comparison sites like Skyscanner to ensure you find the best deal. To give some insight on standard prices, Air New Zealand often runs special deals on their website, like economy fares from Los Angeles starting around $1,150. There's good news for U.S. passport holders. There is no visa requirement to enter New Zealand if you plan on staying less than three months. Your passport must be valid for three additional months after your intended departure date. You'll also need to show proof of onward travel, and you may be asked about showing proof of sufficient funds if you plan to stay the full three months. Keep these helpful tips in mind when planning your New Zealand trip. 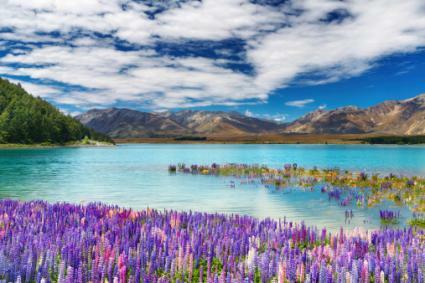 New Zealand is across the International Date Line, which means you'll essentially lose a day on your trip to New Zealand, but you'll get it back on your return. New Zealand is below the equator, so the seasons are different. Spring is September through November. Summer is December through February. Fall is March through May. Winter is June through August. The weather in New Zealand can be mild, but it also depends on which part of the country you're traveling in. It can get as cold as 14 degrees Fahrenheit at the inland alpine areas of the South Island during winter. Be sure to check actual projected temperatures for the location and time of year you plan to visit. 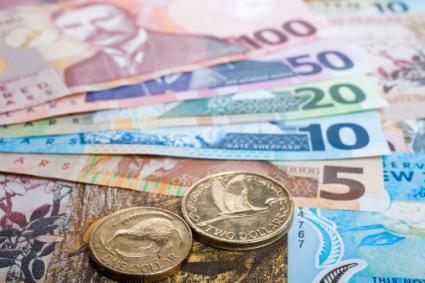 Currency in New Zealand is the New Zealand dollar (NZ$). Credit cards are accepted in a majority of the country; Visa and MasterCard are the most popular options. New Zealand has adopted the "Swedish Rounding" method, which means rounding to the nearest five cents. Use a currency converter site to verify the current exchange rate when you visit, but as of March, 2016, 1 NZ$ is approximately $0.67 USD. Tipping is not necessarily common in New Zealand. You can tip 10 percent in finer restaurants for exemplary service, but according to some of the best travel planning forums, it's not customary practice. Check for voltage requirements on your equipment and remember that New Zealand uses the "I" prong configuration. Pack smart. Since a bulk of activities in New Zealand are outdoors, it's crucial to ensure you pack the right clothes for your vacation. Also, bring important medications, especially if you are prone to motion sickness on the water or are bothered by altitude changes. New Zealand is broken up into the North Island and South Island. Here's a look at some of the more popular destinations on each island. 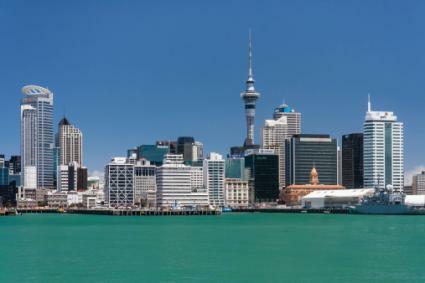 Auckland: This the biggest city and home to great restaurants, shopping, and a lot of tours. Wellington: This is the capitol of New Zealand, and it's home to some great restaurants. Don't miss the stunning views from the Bay of Wellington itself. Queenstown: This is one of the most beautiful spots in the country. You'll find a ton of things to do in the city and nearby. 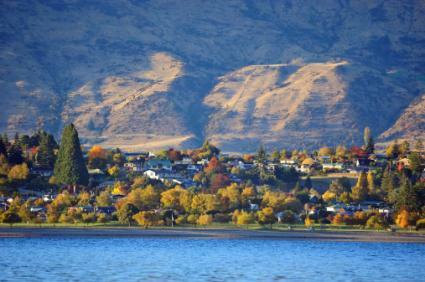 Wanaka: This is a small town near the Alps, and it's home to stunning scenery. You'll find many scenic mountain lakes here. Christchurch: This is the biggest city on the South Island, and it suffered a lot of destruction in the 2011 earthquake, including the almost complete destruction of the Christchurch Cathedral. New Zealand is best explored by vehicle if you're up to driving in a new country. Rent a car and stay in hotels and Airbnb's while traversing the beautiful islands, or consider renting a motorhome/camper van. Just be aware that some of the smaller roads may not be suitable, especially on the South Island, so be sure to ask your camper van rental company because they will tell you which ones are not accessible. Trippy.com suggests skipping trains because they are slow and don't visit many of the places you'll likely want to visit. Consider taking buses in the cities because they are more reliable than trains. Take the Interislander car ferry from Wellington to Picton to drive between the islands. Accommodations vary in New Zealand from high-end, luxury resorts to boutique hotels, hostels and more in the city areas. In the more remote areas, you may find campsites, motorhome rentals, and holiday homes for rent. Hotel DeBrett is a boutique hotel in Auckland. It's located in the heart of Auckland's Central Business District and features a great Art Deco style, but with a warmer and more inviting feel. Be sure to grab a drink from the 24-hour guests-only Drawing Room and spend some time in front of the hotel's great fireplace. 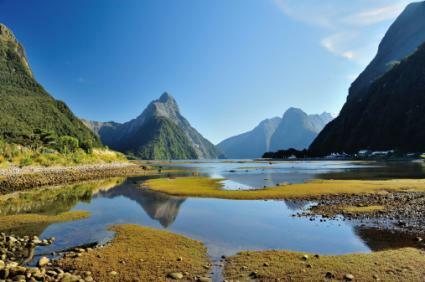 Milford Sound Lodge sits beneath the Darran Mountains and provides an ideal base to explore the Fiordland National Park. You'll find an array of lodging options here from tent and caravan sites to shared dorms and luxurious riverside chalets. If you're looking for hostels and other budget-smart accommodations, check out aggregate sites like Hostelworld. Their highest rated hostel in Queenstown is the Adventure Queenstown Hostel, which has a maximum capacity of 49 people. Milford Sound: This is one of the most popular spots in New Zealand with its dark blue waters and dramatic mountain peaks. 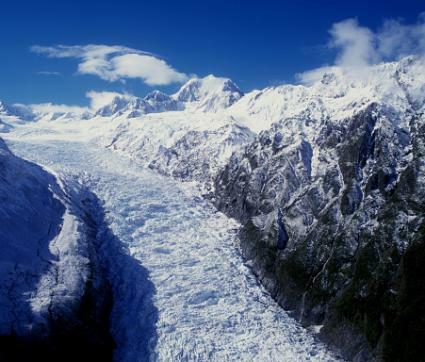 Located at Fiordland National Park, glaciers helped sculpt the stunning fjords of Milford, Doubtful, and Dusky Sounds. You can go hiking, rent a kayak, or splurge on a scenic flight over the area. Bay of Islands: Located on North Island about three hours from Auckland, the Bay of Islands is made up of over 140 small islands. This is a great place to hike the trails, go kayaking in the secluded coves, or go yachting. Keep your eyes open for the marine life that calls the Bay of Islands home. Tongariro National Park: Located only a couple kilometers from Lake Taupo, Tongariro National Park is a dual heritage site thanks to its volcanic features and the Maori culture. Fox and Franz Josef Glaciers: These glaciers are one of the main draws to Westland Tai Poutini National Park on South Island. Walk up to the glaciers or spring for an unforgettable helicopter ride over them. Abel Tasman National Park: The Abel Tasman Coast Track in Abel Tasman National Park is closed to vehicular traffic, which makes it a hiker's dream. Hike the 51-kilometer trail and be sure to bring your snorkel gear so you can snorkel in some of the secluded coves, or just relax on the beach. Rotorua: This is one of the most active geothermal regions. Visitors can take a walking tour, soak in the mineral springs, and learn about the Maori culture and its history. Adrenaline junkies will find this area is great for mountain biking, sky-diving, and more. The cuisine of New Zealand can be described as Pacific Rim since it draws inspiration from Polynesia, Europe, and Asia. Some of the dishes you will find include ingredients like lamb, pork, salmon, mussels, and scallops. Local foods include shellfish like pipis and tuatua, kumara sweet potato, tamarillo, and more. 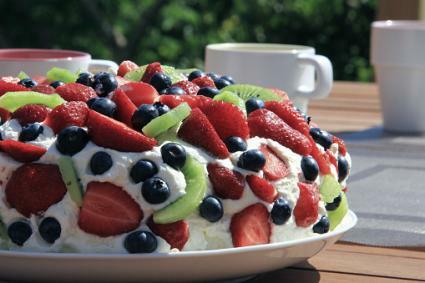 Be sure to try Pavlova, which is considered the national dessert of New Zealand, and seek out some Maori food to learn more about the local culture. If you're looking for additional suggestions, check out tips from some travel and food bloggers who either live in or have visited New Zealand. Bren on the Run is a blogger from Auckland who shared his top 33 food picks for people coming to New Zealand. New Zealand is also known for its wine production and annual wine events held in cities like Auckland, Martinsborough, and Nelson. Wines are grown throughout the country, and New Zealand Wine has listings of all the wineries if you want to see any during your visit. Whether you're looking for a gastronomic journey, an adrenaline-boosting adventure, or relaxing amongst beautiful scenery, one thing is certain. New Zealand is one destination your family is sure to love.